In making an appointment today for one of my repeat clients, I got this message from our MLS system. Appointment confirmed lock box code is #0000. (not the real combination.) Same when calling for another appointment, the receptionist gives the same information. Again in a real estate office for a settlement, I heard the front desk person say loud enough for me to hear in the next room.." That's a Go and Show" and gives the address and combo lockbox code. To me this is no safer than placing a key under the mat. Today the showing appointment was made very easy, very quick, very convenient for me working with this buyer. But..this is not the Rome Way. As a listing agent, I need to do what is best for my clients. There are so many special situations that require direct contact: the elderly, the frail, those with young children, family illness, special pet situations, caretakers, security systems, out of town owners, sellers who work and sleep irregular shifts and many more. Sure if all my homes were vacant, were short sales, or the owners were touring Europe for the year, it would be easy to slap a lockbox on and keep on going. Even then I would use an electronic box. 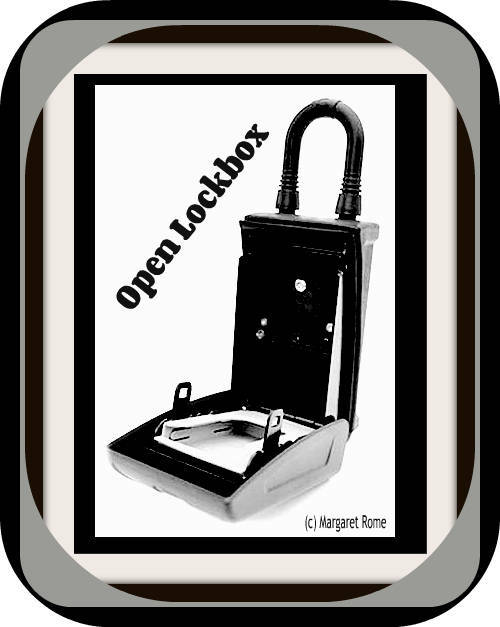 Never a combination lock for anyone, at any time, to have entry with no history of who or when the home is accessed. My listings are with real live people, not properties. Buyer's agents call and speak to me. I answer my phone, I make appointments, I represent my sellers! The appointments can also be made on line, through the MLS, email, text or direct call. Since I answer my email, phone and texts...it is pretty easy to make an appointment on any of my listings. Why are expensive homes treated with listing agent showings? Do only the wealthy get the "right" representation? Why not a lock box on these so-called exclusive listings? My sellers are all very special, and deserve The Rome Way.